Suction Records is pleased to present "Pulsdisco," the debut vinyl release by Celldöd, a new addition to the Suction Records roster. Hailing from Stockholm, Sweden, Celldöd's output to date has been a series of extremely limited cassettes. This 12-inch is a selection of tracks from the first two tapes, "Pulsdisco#1" and "Pulsdisco#2". Celldöd is the solo project of Anders Karlsson, well known in the EBM scene for his involvement in the band The Pain Machinery and as a live member of Severe Illusion. It's no surprise then, that the Electronic Body Music pulse of bands like DAF, Nitzer Ebb and The Klinik is at the heart of Celldöd's sound but with a twist. 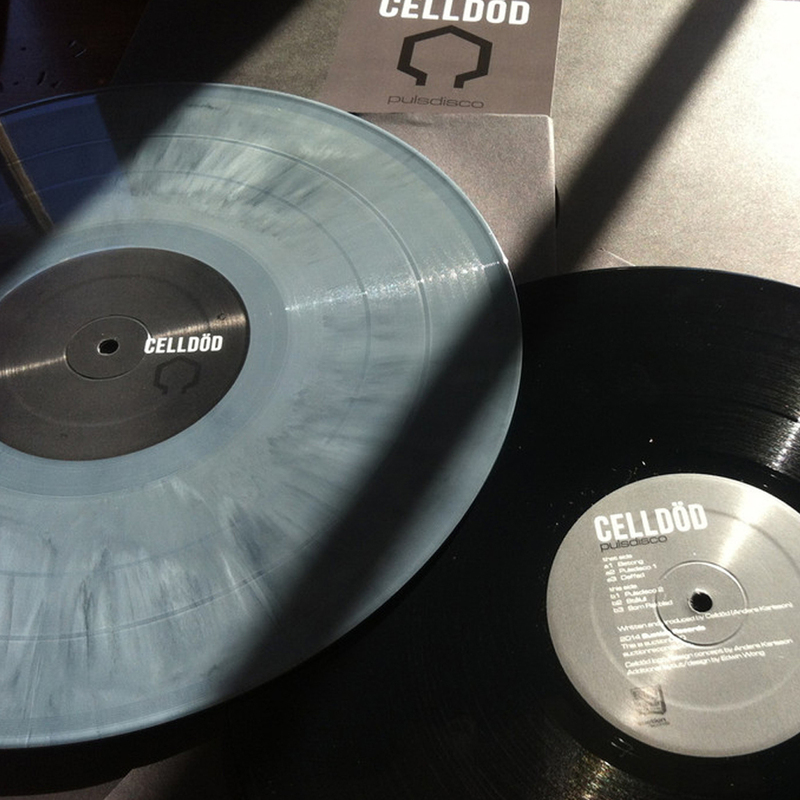 Celldöd strips EBM down to it's core, eliminating vocals and any superfluous details. He offers a raw, minimal, and purist vision of EBM; hardware tracks recorded live to tape using just a handful of machines. Celldöd's bare bones dance cuts are dirty and primitive but manage to steer clear of retro trappings, sounding fresh and contemporary. Despite being driven by Nitzer Ebb-style basslines and militant electronic percussion, you can also hear the squelch and funk of vintage acid house and proto-techno in Celldöd, giving "Pulsdisco" the same techno/EBM crossover appeal of artists such as Silent Servant, Adam X and Terrence Fixmer.